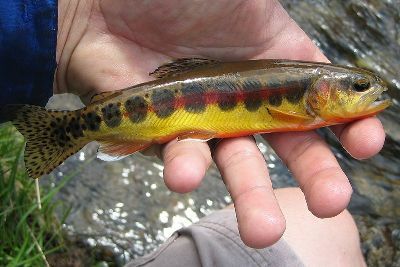 The California golden trout is one of the most colorful trout in the world. This rare North American trout is native to the Sierra Nevada Mountains. In California, three distinct subspecies of rainbow trout are known collectively as golden trout: Kern River rainbow trout, Little Kern golden trout, and California golden trout.